Gorgeous heavy weight cotton designer fabric from Richloom. 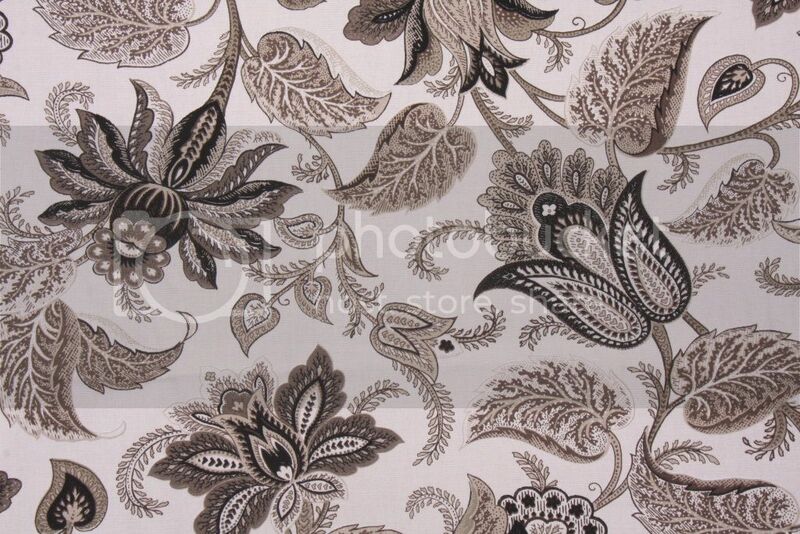 Briswell is a large scale dramatic floral/paisley design in shades of black, gray and cream on a soft cream background. Shower curtain measures 72x72 with weighted hem, buttonhole top and is pattern matched at seam. Free swatches are available.